Only 200 talk minutes. BUT, here’s what I say to that: Who uses minutes anymore? We call these pieces of technology “smartphones” but what a poor definition that is. Smart devices would be more appropriate (or Coms, short for communicators). People are talking less and less on their devices and using them more and more for web, texting, e-commerce, taking pictures, etc. If you are, however, someone that loves to talk on their phone or absolutely needs more minutes, unlimited calling will be offered for the rock bottom price of $10 a month. That prices is so low it makes me want to cry tears of joy! Free unlimited text messaging. What else is there to say? Freedom Pop is offering unlimited free texting with this plan. Utterly amazing. Free 500 text messages. Unlimited must have been too much to promise. They’ve reduced their free allotment of text messages to 500. They’re still free though! 500 mb of data. This is where Freedom Pop is going to be able to make some extra money from you (but lets face it, you are at a maximum of $10 a month right now so don’t start freaking out). 500 mb of data could quite easily be an issue for you because as we just referenced, we are using more and more data on our Coms (it rolls off the tongue so much easier). There are also ways, like with their Hub Burst home internet system, to earn more free data by referring friends and taking surveys. Freedom Pop is also saying that you’ll be able to pay more for additional data every month if you don’t want to bother with earning more on your own, but that will cost an additional $18-29. There’s also an added benefit of free calling between Freedom Pop users. So make sure all your friends, family, and coworkers sign up, then you won’t have to fork out that extra $10 every month for the unlimited calling feature. The specifics of the phone are up in the air. 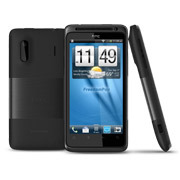 You’ll probably pay full price for the phone which, if history is any indicator, will be in the range of $200 to $300. I’m imagining that it won’t be at the forefront of technology – probably a two or three generation old Android phone. But, the possibility of a free plan could certainly make up for those shortcomings – at least for me. The release is here and the phone specs are out! This new phone only costs $99 for early adopters. The price will go up to $149 shortly. The cell phone technology is a couple of years old but still solid with 4G compatibility. Takeaway: Changes in the cell phone industry are happening as rapidly as facelifts in Hollywood. Therefore, don’t sign another contract with your cellphone provider unless you have some perks that you just can’t do away with yet. You don’t want to be stuck for another two years as the competition in this industry heats up and the prices sink like Facebook’s IPO. Anyone going to sign up for free cell phone service from Freedom Pop? I would love to hear your feedback if you test it out! Sounds almost to good to be true. My wifey and I are thinking of leaving our current plan and company. We currently pay about 200 per month on cell phones and thought of going to Straight Talk. I need to check company out too. Never heard of them before. Straight Talk is a great option and would certainly be better than what you are forking out now. You might want to evaluate your usage first. Maybe you could get by with less and pay even less than Straight Talk. This plan, the Republic Wireless plan, Go Smart Mobile, and Virgin Mobile would all be great to check out as well. It is. Too good to be true, that is. It’s not too good to be true. I have a phone and a Netgear 341U USB Modem LTE. I have used both (I regularly use the modem) and have never paid anything after the initial purchase. If you need more minutes, you can get multiple devices and have a designated phone that you use for receiving calls & texts while initiating with other devices. To get multiple devices you can use different emails and Freedompop is totally ok with that. What carrier will they use? I have their hotspot device and it is awesome but service area is limited. If they are using the same backbone for the phone service it will be of limited value. They’ll be using Sprint. On their internet devices they use Clear – eventually they’ll be using Sprint’s 4G network once it expands as well. So if you get decent Sprint service it could be a valuable service for you! We are a Tracfone family with dumb phones, with a few of us heavier users branching out to Straight Talk. I may be interested in this new choice for my young teen who would love unlimited texting. Thanks for posting. By the way, we also use an Obihai VoIP device with our Google Voice number for home phone service. We really don’t like paying for phone service! Ha! That is awesome. Quick word of warning though, straight talk has drawn so major ire from their users of late. They are cutting heavy data users off completely. PLUS, their customer service has always been a little suspect. Enter at your own risk. OH, and Kajeet could be a good option for your son. $14.99 all you can text with a few minutes thrown in too. Thanks for stopping by. I dig your thrifty style. No doubt Corey. I can’t imagine this cell phone won’t have wifi capabilities. I would be extremely surprised and disappointed if that were the case. Joel, you’re awesome! Thanks for the support. Straight talk is good if you live in one of their high coverage areas. My husband and I switched to straight talk because we were tired of paying $180 per month on cell phones. Straight talk unlimited knocked the bill down to $90! That’s half of what we were paying and the savings nearly covered our utility bill. The only problem we experienced is the internet connection seems to get lossed quite frequently where you have service but no internet. By numerous calls to customer service (which aren’t well trained by the way) we found taking the battery out and restarting the phone usually solves the problem. Straight Talk is definitely one of the other low-cost options. I’m so glad going no contract has saved you so much money! Free is always good. However, we have been down this road before. Remember all of the free internet providers from the late 90’s? Net Zero, Altavista, K-Mart’s Bluelight service. There have also been free FAX services. Guess what? Most of the business models that offered “Free” something have failed in their business model. I’m afraid that they may fold or worse, they may do blatnat overcharging as a revenue stream. I read a few reviews on Amazon, on their hotspot device tht stated that there were hundreds of dollars in bogus charges on their credit cards. Their website seems a bit “amauterish.” Potential red flag. It asked for my zip code and email address. I had done this before and got that the service was yet available. Now it asks for a street address! Good news right? Then it shows an image of smartphone and asks you to click it to see what phones I can use with it. BLAM! i get a “404 – Sorry, the page does not exist” error. I’ll wait to see if the bugs get worked out. Some red flags, here! I totally understand your apprehension. 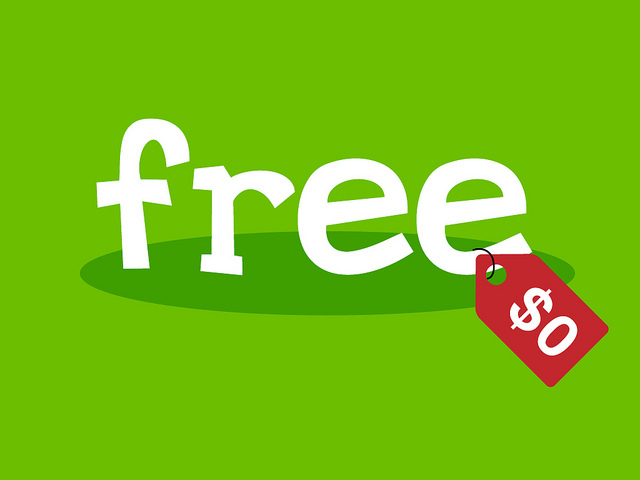 The freemium business model is becoming more and more popular, and the costs of cell phone minutes and texts have gone down and down. I think Freedom Pop (from the guys who created Skype) has some staying power. They do have some hoops that you need to jump through and little fees if you don’t. BUT, what they are offering is completely legitimate and a really good value if you know their parameters. Thanks Joel. I am also using a very sketchy browser, at this time. So I will try again on a better PC. My wife really needs the ability to send / receive texts, so this would be good for her. No problem. And I’ll keep you updated on how their service fares. I won’t leave you guys hanging. I’ll report both the good and the bad. Thanks Joel! I knew that I had heard of some issues with Freedompop and their hotspot service. Look at these reviews from Amazon. One was overcharged (per the review). I signed up and am sorry to say that this IS too good to be true! I ordered 2 phones a couple of days apart and the order I placed earlier took over 3 weeks to arrive! When it did the battery compartment was broken, the micro sd card was b/o, and the service leaves so much to be desired! Also, the device is rooted and didn’t even include any native/3rd party browsers/messaging apps! The darn thing also de-registers constantly and the flippin battery doesn’t last more than a few hours! The second device can’t even connect to the network so it’s basically useless! It will not even register over wifi! I placed a call to customer care on October 29. The rep wrote up a trouble ticket and the email confirmation of my tech support request indicated that someone would get back to me within 2 business days. I AM STILL WAITING FOR THAT CALL/CONTACT!!! So tomorrow I will call and request an RMA and the $240 I paid for these bricks!!! I use Republic Wireless. I pay around $12 (includes taxes) for unlimited talk, text. I have free data over Wi-Fi which I’m around a lot. I switched from Pure Talk. This plan is way better for me. I haven’t had a contract in years and plan to never use one again. Freedom Slop is one of THE most expensive “solutions” to internet/phone/Wi-Fi service around. Not to mention their website is impossible to navigate, half the links are broken, and their customer service is non-existent. I wouldn’t recommend these ppl on a bet.